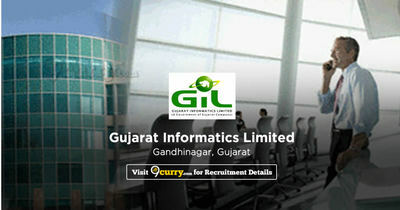 GIL Recruitment 2019 - Apply Online for Apply Online for Chief Information Security Officer Post in GIL, Gandhinagar, Gujarat. Online Applications are invited by Gujarat Informatics Limited (GIL) from 10 Feb 2019 to 28 Feb 2019 for 1 vacancy. Possess a degree of M. Sc. Digital Forensics and Information Security, M. Tech. Cyber Security, MSC Cyber Security, Master in Cyber Security, M. Tech in Cyber law and Information security, M. Tech computer science and engineering with specialization in information security, M. Tech in computer science and information security, MBA – Information technology business management or any relevant cyber security and Information security related masters degree from university recognized by UGC / AICTE or recognized university. Total of 8 Year’s experience in IT Information security. Should have 5 experience in managing cyber security in managerial capacity. Eligible candidates may apply online at Not Available's website (direct link is given below) from 10 Feb 2019 to 28 Feb 2019. Candidates log on to https://ojas.gujarat.gov.in/AdvtDetails.aspx?sid=94sXp0IDjn4=&yr=yvWRrBfMHJY=&ano=a2GSpnDbruI=. Click on “Click on New Registration”, if you are a new user.